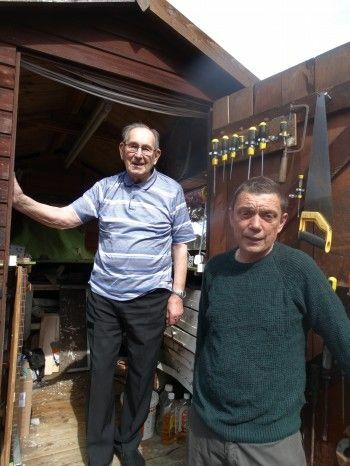 When 91 year old Richard Brown (right) had a “bit of a funny turn” last November he ended up in hospital for ten days. 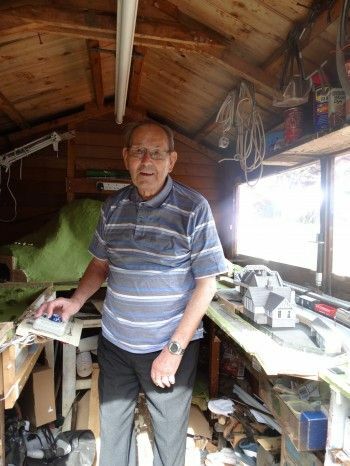 The former Engineering Services Manager for Carr’s had always been handy around the house, but when he came home he needed help to stay independent. Richard and his wife Laura, 83, live in Carlisle. Their family home for the past 50 years is on two floors and, like many retired couples, they don’t want to move, so they keep adapting their home to meet their changing health needs. Their sons have helped where they can, putting a stairlift in as Laura’s arthritis made getting up and down stairs too difficult. 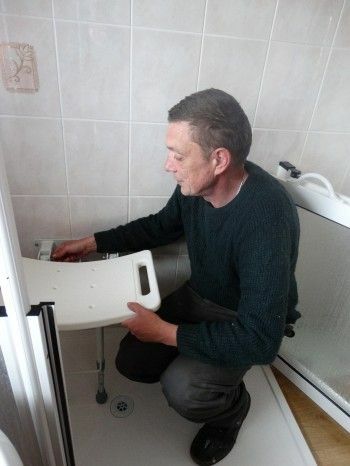 The family bathroom has long had its bath taken out and replaced with a walk-in shower and this was the challenge too far for Richard when he got out of the Cumberland Infirmary. Chris Davidson, works part-time for Cumbria Gateway, he has spent his life working in the building trade and although he was a bricklayer, he can plaster and turn his hand to almost any practical job in a house. Cumbria Gateway is one of the 33 partner organisations providing a range of services to help keep older people independent. handy people to help with minor DIY tasks like changing light bulbs, mowing lawns and shopping. links to friendship groups through good neighbourhood schemes and telephone contact for those who are lonely or isolated. encouraging people to join in with social groups within their community. helping people set up their own support, such as finding and paying for equipment and support services. short-term help after a hospital stay.